Last week’s blog featured movies about advertising. This week we’ll explore advertising in movies also known as product placement or embedded advertising. When we watch a movie are we viewing a world full of products or products placed into this world? Is there a difference? When we notice familiar branded objects such as automobiles in movies, aren’t we seeing an accurate depiction of life as if we were looking out the window? What if all the cars in the scene are of the same manufacturer who has offset production expenses by supplying the vehicles? This trend in advertising leans toward real life scenarios where the product is not the star of its advertisement, rather subtly placed into the action as part of the scene. Take the classic example in the movie E.T. in which Elliott leaves a trail of Reese’s Pieces to lure the extraterrestrial out of the forest. The candy had been on the market for two years. Product recognition was negligible and sales were sagging. Hershey spent $1 million over six weeks to promote the film, and in turn was given permission to use the film to promote its candy. Within two weeks of the release date, Reese’s Pieces sales had tripled, eventually making a 65% jump (some sources say as high as 85%). Steven Spielberg’s 1982 blockbuster broke the dam and completely changed the rules about product placement. Today this practice is commonplace and products are written into scenes in exchange for hefty fees in what constitutes a multi-billion dollar infusion into the movie industry. Product placement is definitely more controversial than other types of advertisements. On one hand, isn’t it more realistic to show a can of Coke on the screen than a generic label that nobody recognizes? But what happens when the product placement is highly blatant, drawing attention to the fact that a company probably paid a fortune to have its product highlighted? Does the exchange of money change anything? Consider two transparent uses of product placement: In the futuristic Demolition Man, starring Sandra Bullock and Sylvester Stallone, a franchise war “in the past” knocked out all competitors and left only Taco Bell standing. Everyone eats at Taco Bell. On the other hand, Cast Away, starring Tom Hanks, is basically a two-hour advertisement for FedEx (and Wilson the volleyball). When a FedEx plane crashes near a deserted island, the star opens the numerous FedEx packages that have fallen around him to find articles he can use to survive and even delivers one once he gets home. Interestingly enough, Taco Bell reportedly paid a fortune for such prominent placement while FedEx made no investment. During economic downturns, history has proved again and again that while most companies cut back, it is the smart ones that advertise. More sales have been rung up by companies that out-advertised their competitors. Consumers don’t go away during tough times, they merely become more selective in their choices. If the advertising presence for a company that consumers have come to rely on has simply vanished, what message are they sending their customers? While your competitors are reducing their advertising budget, augmenting yours will increase your reach over your customers and theirs. 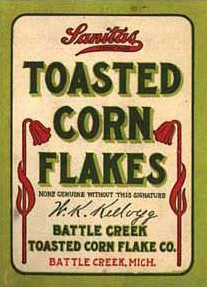 In the late 1920s there were two dominant players in the packaged cereal market – Kellogg and Post. While Post cut its advertising expenditure, Kellogg doubled theirs, aggressively going after the radio market to advertise its new product, Rice Krispies. The end result: Kellogg’s sales rose more than 30% over the next few years, allowing it to dominate the market until this day. Aggressive advertising turned the tide for Camel cigarettes whose top position began to slip in the 1930s in favor of Lucky Strike and Chesterfield. Aggressive advertising made the difference for Camel when they smoked the competition and regained the top spot in 1935. Proctor and Gamble is a great example of how innovation and increased expenditure not only helped the company sail their way through the Great Depression, but changed the entire medium as well. Using radio, P&G’s president, Richard Deupree, (who believed people continued to purchase household products such as soap), decided to create serial programming that did not focus on products, but were clearly sponsored by them. This was the start of daytime Soap Operas. During the 1930s, Chrysler zoomed past Ford as the country’s number two automaker with the introduction- and heavy advertising- of its new value brand, Plymouth. This new introduction was one of the only successful car brands during the Great Depression.